Striking medieval dagger a companion piece to match the Accolade sword. High carbon steel 27cm x 6cm blade has the seal of the Knights Templar on the ricasso.while the pommel has the inlaid Templar cross. All hardware on the crossguard and pommel has been plated in sterling silver. Soft leather bound grip is wire bound. 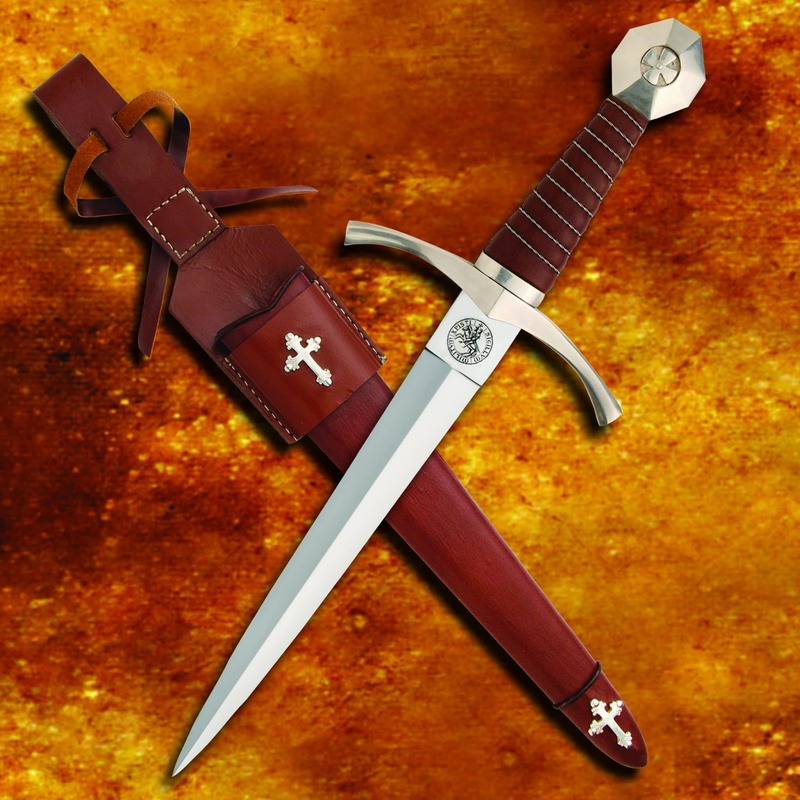 Comes with a leather sheath adorned with two silver plated crosses and a leather thong to secure the dagger handle. Also includes a loop large enough to fit into the Accolade scabbard belt or any belt up to 7cm wide. Your Templar collection is not complete without this impressive dagger.